Kermit to Kermette? 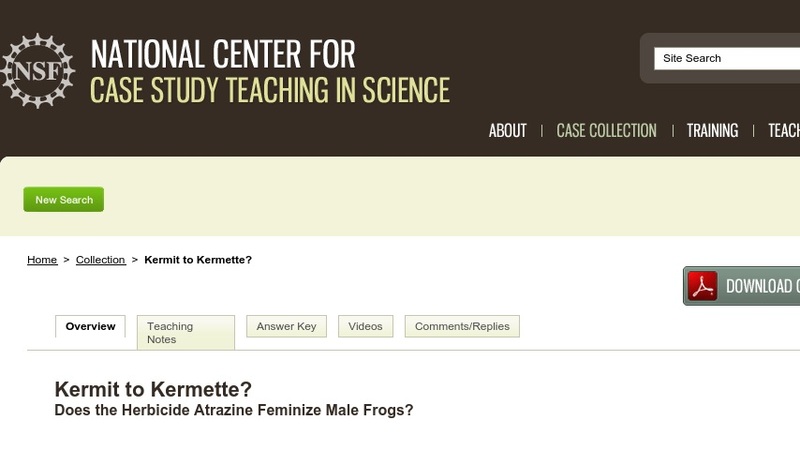 Does the Herbicide Atrazine Feminize Male Frogs? This case study explores the unintended side effects of chemicals introduced into the environment, specifically organic compounds that can act as environmental estrogens (chemical castration agents that can interfere with the sexual development of embryonic males). The case was developed for a non-majors chemistry course and focuses on the science that underlies the controversy surrounding the sale of the herbicide atrazine in the U.S. as well as the political and economic issues that impact this science.